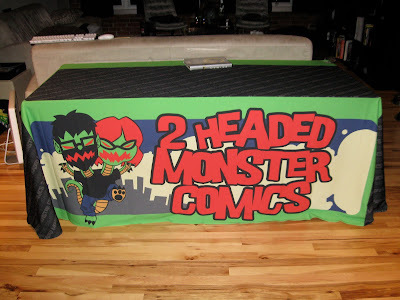 Finally got in the display elements for my comic convention booth, the books are printed, con schedule is planned and a preview of the book will be posted soon. Follow 2 Headed Monster Comics on Twitter! 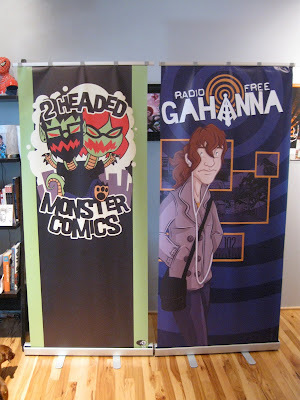 Man o' man those look great. Which cons are you going to hit up? I have the following planned. If I can find one more that interests me/can afford I wouldn't mind doing it. Nice! Everything looks great! Can't wait to see you at SPACE and snag a copy of your book! Looking great Joel! It's a far cry from the CIAH days! Good luck! 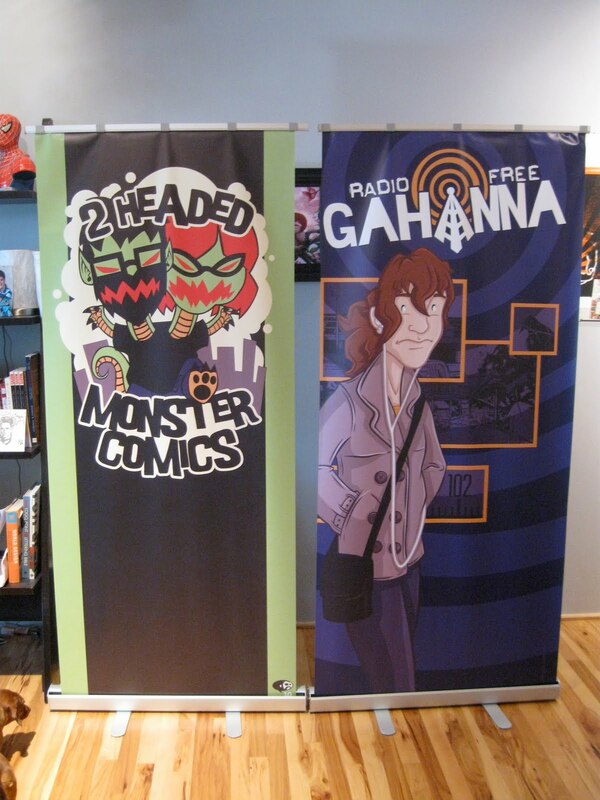 Radio free Gahanna #1 PREVIEW!